The Environmental Protection Agency (EPA) is currently trying to overhaul the way that chemicals are regulated and is reportedly relying on the expertise of a toxicologist who argues that small amounts of radiation are beneficial. The Associated Press reports that Edward Calabrese, a toxicologist at the University of Massachusetts, is set to testify before Congress today as the EPA’s lead witness over proposed new rule changes that the federal government claims will bring more “transparency” to the regulation of toxic chemicals. Calabrese has argued for years that the current standard for evaluating radiation risks, referred to by scientists as the linear no-threshold model, is overly cautious. As the site Phys.org reported last year, “Calabrese has for many years advocated for hormesis,” an alternative approach to evaluating the risk of radiation exposure. It’s a model that Calabrese says “provides evidence that low-dose exposure of some chemicals and ionizing radiation is benign or even helpful,” according to Phys.org. Currently, federal laws regarding radiation exposure operate on the principle that no amount of radiation is safe. 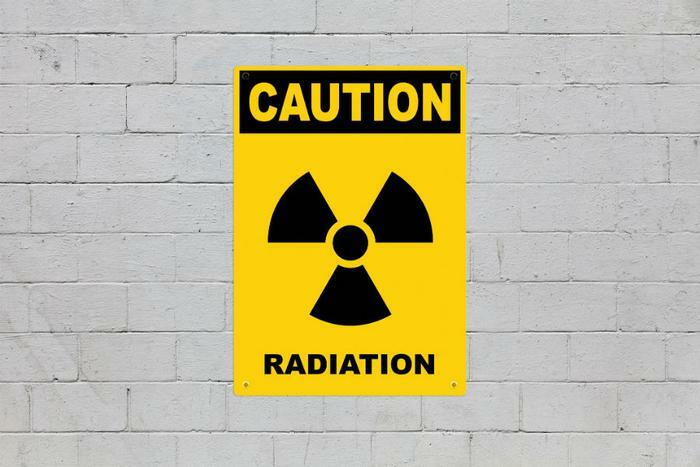 While plenty of research has linked health risks to low doses of radiation, some researchers have tried to make the case that, when it comes to radiation, the dose makes the poison. In statements to the Associated Press, the EPA said it has no intention of changing the way that radiation exposure is currently regulated. Its “transparency” proposal does not name any substance or chemical specifically. However, the Associated Press notes that Calabrese is quoted heavily in an EPA news release announcing the proposed rule changes. In a news release that the EPA issued in April, Calabrese is quoted as saying that the agency is making a “a major scientific step forward” in the field of "chemicals and radiation” with its proposed new methods for evaluating health risks of certain substances. Strengthening transparency or protecting companies? At issue is a proposed regulation that the EPA claims will “strengthen transparency in regulatory science.” The proposal, introduced when Scott Pruitt was still leading the agency, would require that all researchers investigating the health effects of substances make their data public if they want the research to be considered by federal regulators. Numerous researchers say that such a proposal is simply a backhanded way to protect industries that work with toxic substances from facing any regulations. Researchers say that when it comes to studies on humans, for instance, they never make the data completely public because doing so would violate the privacy of their subjects. “If EPA excludes studies because the data cannot be made public, people may be exposed to real harm,” a coalition of 69 professional doctors’ associations and health organizations warned in a statement they released in July. The EPA says they are currently reviewing nearly 600,000 comments that people have submitted in response to the proposal. Which garden hoses contain the highest levels of toxic chemicals?